So you’ve got your business all set up with a two way radio system that everyone appreciates and enjoys. 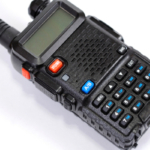 Now you might be wondering if there are any accessories that can further enhance the benefits offered by radio communication. In fact, there are many different accessories, from super efficient batteries to multi-purpose charging ports. 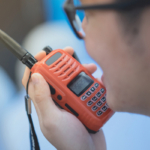 Here are some of the most popular accessories for two way radios and how they can help further enhance your business communication. If you have cheap, inefficient batteries powering your two way radio, your device might stop working when you need it most. The battery is just as important as the device itself, which is why batteries are an accessory you don’t want to forget about. Buying off brand batteries is a real option, but it’s not a recommended idea. Kenwood and Motorola each make specially crafted batteries for their devices that are proven to work long past other batteries. It’s not just the battery itself but the charging station is important too. For instance, Motorola batteries made especially for two way radios offer longer lasting power, and they also add additional features such as battery life display, and adaptive reconditioning. 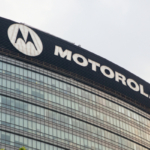 The Motorola IMPRES battery charging and reconditioning station charges and reconditions, providing batteries with the maintenance necessary to surpass the test of time. As humans we use our hands for just about everything, and unless your employees have 3-arms, there’s not always a spare hand to continually hold a radio all day. Depending on what employees do on the job, different forms of belt clips or carry cases can be utilized to secure radios, making sure communication is within reach at all times. Each type of carry case also comes in a number of varieties. For instance, belt clips come in a wide range of sizes and appearances, some with added features such as spring-action or swivel D-Ring clips. There are also carry cases, which cradle the radio for extra protection and offer an easy attachment to a compatible belt. Cases range in materials from leather to nylon. Talk to your employees, and make a group effort to decide upon the best carrying case option. If someone has their hands full they might need to communicate but not be able to access a radio. In this case, a microphone head set can offer the perfect solution. Certain headphones are made to withstand a lot of wear and tear, while others are functional but not as durable. The last thing you want is to have employees out on the go, unable to use their radio because it is not fully charged. You can ensure two way radios are always charged and ready to go with mobile vehicle chargers. Different models of vehicle chargers are capable of charging different batteries, and some can accommodate multiple types. Some chargers also allow for radio use while simultaneously charging up. There are other variations of chargers you can add to your list of two way radio accessories as well, including multi-unit chargers, single-unit chargers, and reconditioning stations as well. Research your options in order to get the best charger for your radio and needs. 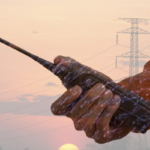 Handheld portable two way radios often include an antenna. You can remove and replace the antenna, either because of damage or added communication needs. Some antennas are used to enhance the range of service a radio provides. If you plan to use radios on the go in vehicles, there are many different antennas available to add to vehicles for compatibility to two way radios. Finding the right antenna is only part of the process, it’s also important to have your antenna properly installed onto the vehicle to avoid communication interference between radio and on-board computer systems. It is usually recommended to install the antenna on the roof or near the back half of the car. Hiring a professional for the installation process is always recommended. Also, it’s important to keep in mind if you are using a radio system with a surplus of power it may require extra special precautions. It can be confusing to shop for a new antenna, considering different devices require unique connectors and antennas. Asking a professional for their advice and opinion could save you a lot of hassles. Need to address a large group of people all at one time? You can add compatible speaker and amplifiers to your two way radio system in order to efficiently reach a larger group of people. Certain amplifiers are made to serve slightly different purposes. There are water resistant speakers as well as direct entry message speakers that include a 16-button entry keypad. When it comes to two way radios there are endless options for accessories, although your accessories are only as good as your radio system. For superior two way radio installations and services contact Highland Wireless today.